According to the last national census, 40.1 percent of Belizeans are Roman Catholics and 31.8 percent are Protestants. The Adventist Church has about 43,500 members worshipping in 92 churches and 40 companies in Belize. With a total population of 388,000, 11 percent of Belizeans are Adventist. To Sabbath School teachers: This story is for Sabbath, March 17. Click here for photos to share while telling the mission story. 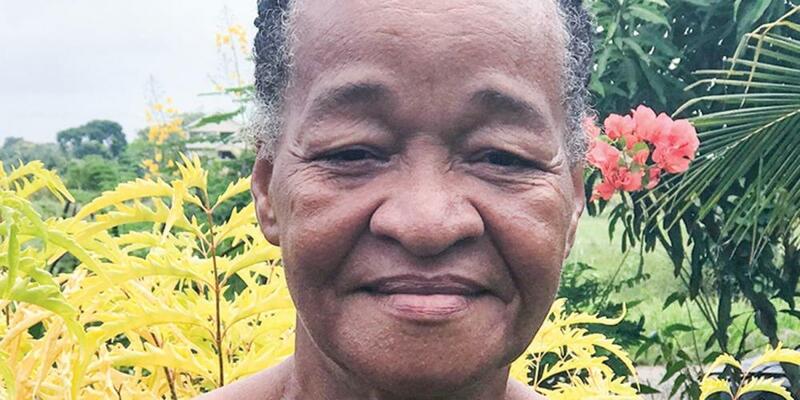 Sadie [pronounced: SAY-dee] McKenzie stood on the porch of her house in a village in Belize. [Find Belize on the map.] The strangest thing was happening. A young white man walked through an alley toward her. Then he stopped, turned around, and walked away. A few minutes later, the man reappeared and slowly made his way toward her again. Then he stopped, turned around, and walked away. Sadie decided that if he did the same thing a third time, she would stop him and demand to know why he kept turning back. But when the man approached her the third time, he walked all the way to the porch. “We are having an evangelistic meeting,” he said softly. Sadie could tell that he was a missionary from the United States. “Would you come to the meeting?” the man said, shyly. Sadie had heard about the planned evangelistic campaign in her village, and she did not want to go. She and her husband were busy. During the day, they grew plantains, cocoa beans, cassava, papaya, oranges, and grapefruit on their farm. At night, they drank beer and danced at parties. The man sadly walked away. Sadie couldn’t get him out of her mind for the rest of the day. His soft voice had caught her attention. She wondered why she had spoken to him so angrily. She decided to go to the meeting that evening. The young man was shocked to see her, but he welcomed her warmly and gave her a new Bible. Sadie will never forget the Bible study. The preacher read from John 13 about Jesus washing the disciples’ feet in a basin of water. The description of the foot washing reminded Sadie of her grandmother, who had been an Adventist. Sadie remembered that her grandmother used to take a brush and vigorously scrub her feet the day before the communion service because she didn’t want to make the water dirty at church. Sadie used to laugh at her grandmother. Sadie began to understand the meaning of foot washing as she listened to the Bible study at the evangelistic meeting. She realized that Jesus washed His disciples’ feet as an example for all Christians. Jesus was showing Christians that they should serve others humbly. Sadie attended the evangelistic meetings every night because she wanted to know more about the Bible. One night, the preacher asked for those who wanted to be baptized to come forward. Sadie went to the front, but she had a major dilemma. She didn’t want to give up beer and dancing. After praying, she felt at peace and fell asleep. In the morning, she had lost all desire to go to parties. She only wanted to serve Jesus. Sadie is still a farmer, but these days she plants more than plantains and papayas. She plants the Word of God in people’s hearts. Sadie has preached at six evangelistic campaigns and led more than 50 people to baptism. She is happy that the shy young man returned to her house and invited her to the evangelistic meeting. How can you be like that young man and Sadie and share Jesus with others this week? [Wait for the children to answer.] One way we can share Jesus today is by giving to the mission offering, which helps spread the gospel in Sadie’s country of Belize and around the world. Thank you for your mission offering.